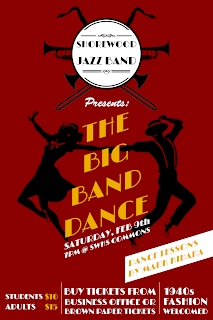 The Shoreline Jazz Band has regretfully had to cancel its Big Band Dance which was scheduled for Saturday, February 9th at Shorewood Commons. 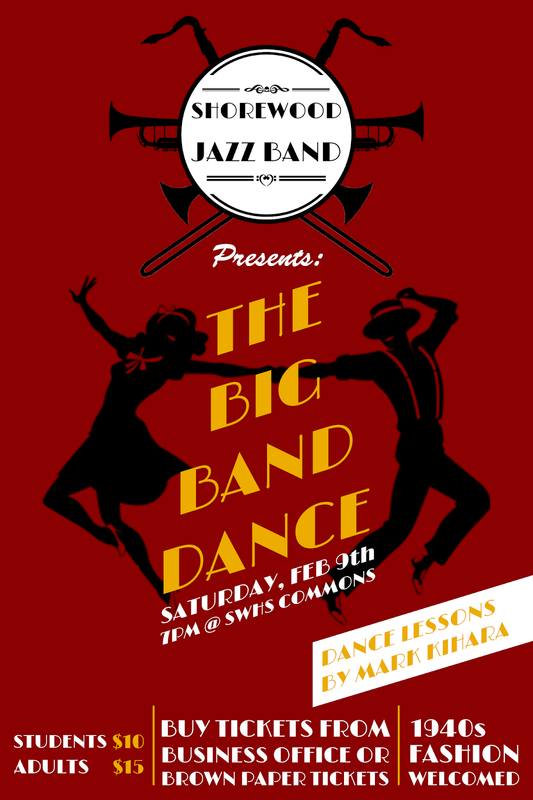 The Shorewood and Einstein jazz bands were to play and dance lessons were offered. The Dance will likely be rescheduled within the next few weeks. Watch this space. Those who want ticket refunds can contact the Shorewood business office when school is open.